Formed in 2000 and with a reputation for excellence, Cisilion has a proven track record of successfully implementing IT solutions for our global client base in 70 countries across 5 continents. Our award-winning projects are complemented by our long-standing and strategic relationships with some of the world’s leading technology partners including Cisco, Microsoft, Dell EMC and Riverbed. Our technology partners consistently turn to us as best-in-class solution integrators across the Mid-market and Enterprise business arena, mainly finance, legal and insurance organisations in the City of London. We offer expertise across a large range of solutions, including: IT infrastructure, collaboration, security, cloud & data centre and IT services. With relevant IT accreditations and awards within these fields of expertise, our enterprise customers vouch for our excellence. 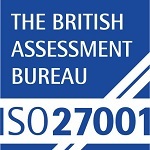 We are proud that we can assure our customers that we have certified our internal systems to ISO:27001:2013. This is an international standard that demonstrates that we are following globally accepted information security best practices. It requires an independent annual audit and a commitment to a continuous improvement process. We are enthusiastic supporters of certifications, and we are working on including other branches into our business too. 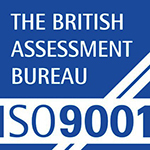 We are proud to be certified to ISO 9001:2015. The certification provides guidance and tools for Cisilion that want to ensure that their products and services consistently meet customer’s requirements and that quality is consistently improved. Cisilion are a global, award winning IT reseller headquartered in the City of London. Have a look at the industry awards we've received that recognise our excellence in the channel. Cisilion are working with leading vendors across the IT space, including Cisco, Microsoft, Riverbed & Dell. Cisilion has created a business and technology focused Innovation Centre where you can experience the latest integration technologies for yourself. Come and visit it at our City of London office.